The home of Anita Kaushal (author of The Family at Home) is truly breathtaking. It is so light-filled and simple (and also in Notting Hill, how dreamy!). 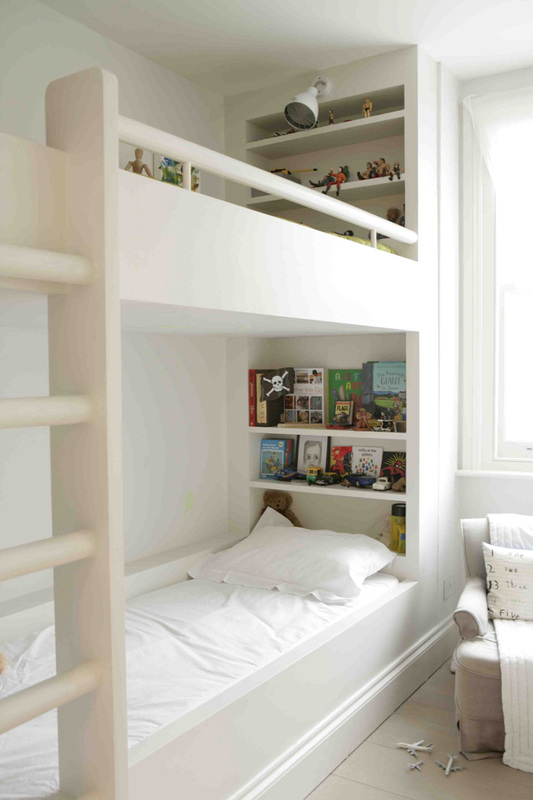 I love the bunk-beds with the built-in shelving... but am afraid my boys would never go to sleep!